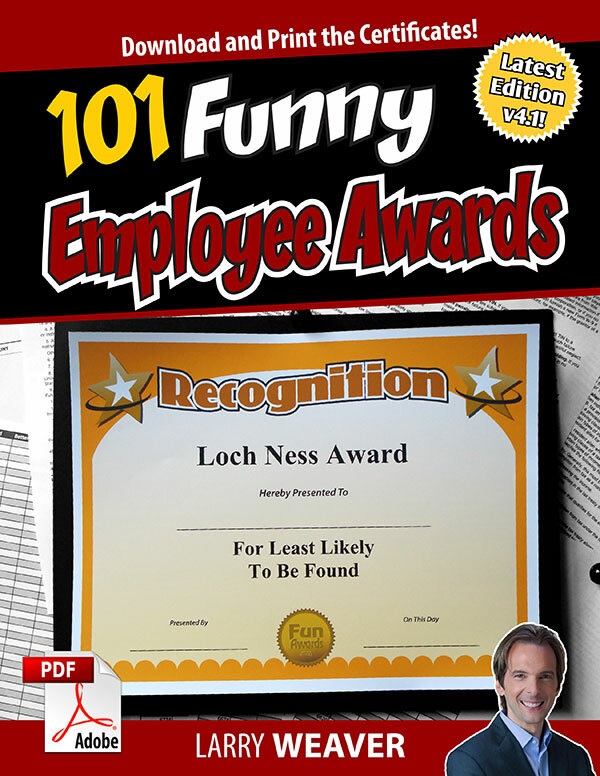 Over 400 Different Funny Award Certificates for Employees, Staff, Coworkers, Volunteers, Teachers, and Friends. Bundle All and SAVE BIG! 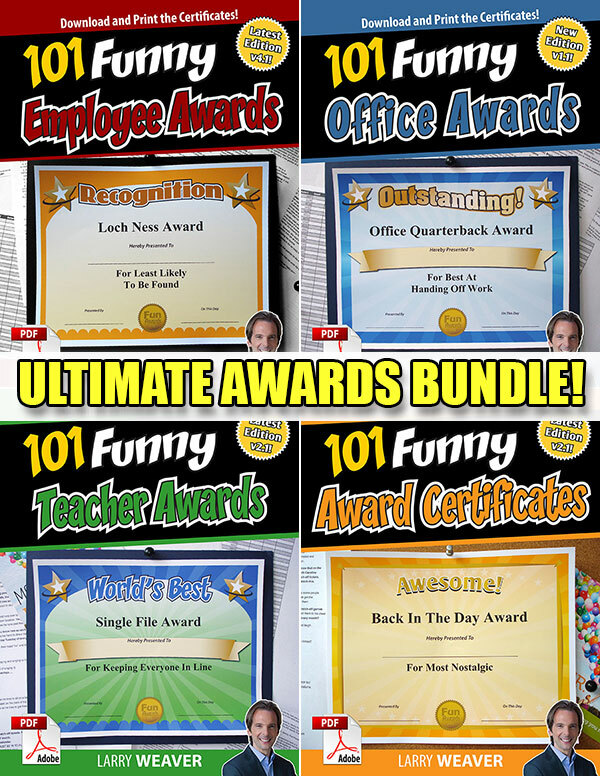 Over 400 Printable Funny Award Certificates for employees, office workers, teachers, and friends, plus over 25 Unique Awards Templates for making up your own Funny Awards. 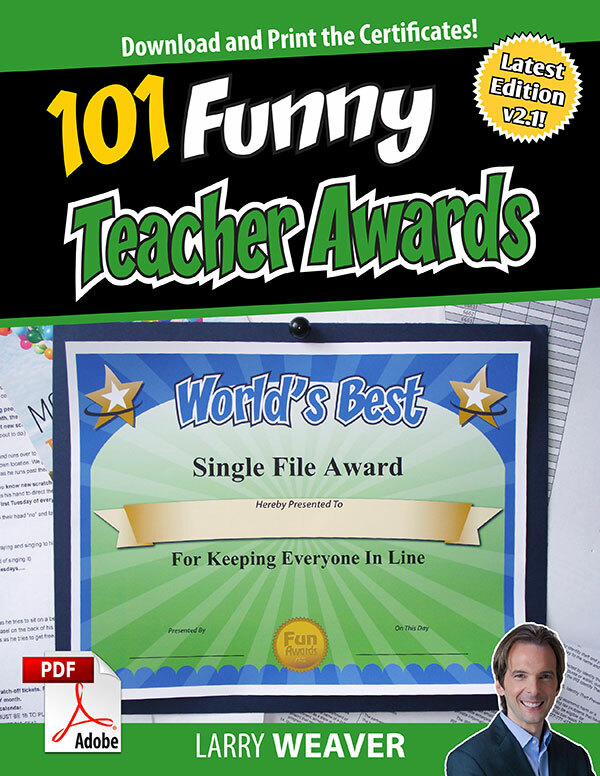 These exclusive Funny Certificates were written by professional touring comedian Larry Weaver along with a features editor from the New York Post, and an Emmy® nominated writer from Saturday Night Live! 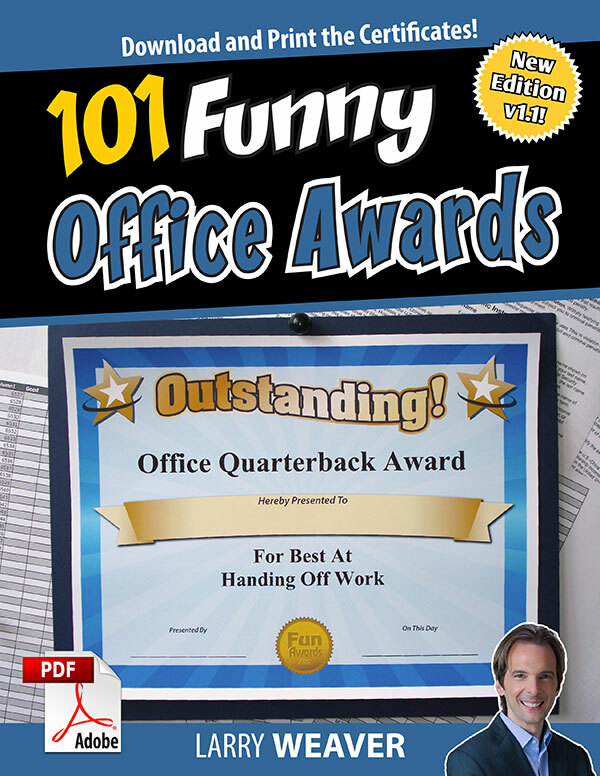 The certificates are available in PDF format for instant download Worldwide. Immediately after purchase, you can access the PDF and start printing your certificates. Includes all of the collections below in one cost-savings bundle. Click through each product for additional details.